Your 3d cart store, with its wide array of varied items, is nothing more than a mere online catalogue unless it gets the right promotional platform. With one of the top marketplaces available online, Sears, you can make your ecommerce store visible across a number of platforms and sell more and more items. Our 3d cart Sears integration services make the syncing of your store with Sears easy and hassle-free for you. You need a well-thought multiple-channel promotional strategy in order to get the maximum visibility for your 3d cart store. Our high-quality software management tools consist of 3d cart Sears plugin and apps that can allow your store to get the promotional benefit of such a massive marketplace such as Sears. Maybe you wish to get assistance with real-time inventory management, or want shipping and order tracking management services or need a hand with automated product listing. You can bank of ChannelSale to assist with one and all issues and assist you in managing your store properly. Our 3d cart Sears extension syncs your store with Sears in just the way that it needs to. Our services are fully customizable and whether it is synchronizing your stock levels, listing your wide range of products easily or helping you to gauge the performance of your products; we can assist you with each and everything. We make use of cutting-edge tools and our 3d cart Sears app to make the data entry and transfer procedure completely error-free. Our 3d cart Sears connector ensures that all aspects of your store are managed properly, and according to the needs and demands of Sears. ChannelSale supports simple or multi-variation products / parent–child relationships from 3d Cart. So do not worry about the multi-faceted products in your inventory. 3d Cart to Sears granular level product category mappings ensure syncing of products in the appropriate categories. We can take care of all the over-selling and under-selling issues of your products and make a lucid graph of your product performance that can easily reach you. 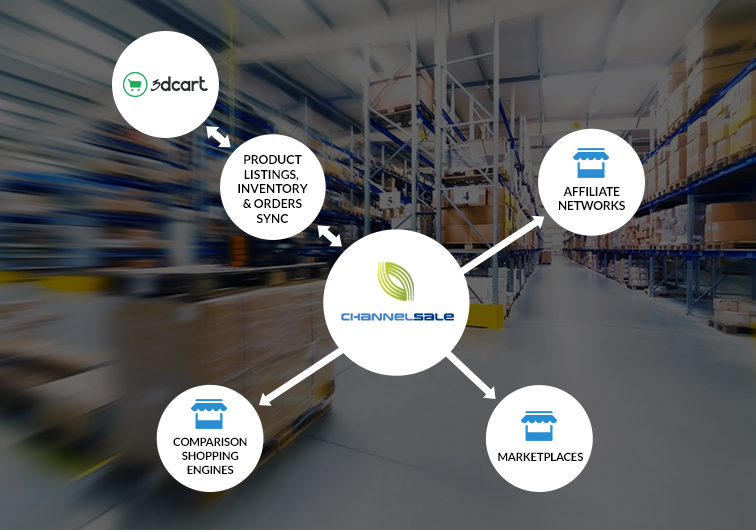 Whether you wish to know more or get started with 3d cart and sears integration, call us up at +1-866-709-9495 or send an email to info@channelsale.com to contact any of our Client Service Executives.